If you use above method you’ll have to code something. Download the ThickBox Module here. 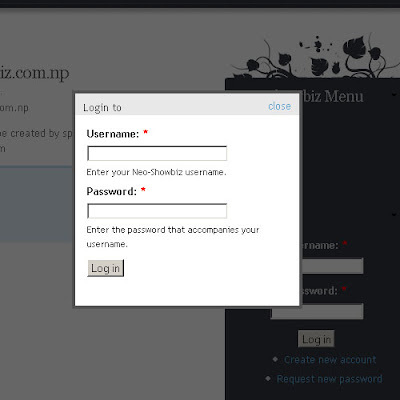 Now when you click the login link (after logging out that is) you’ll get an output similar to above screenshot. COOL!! !, you did it.